Happy New Year! 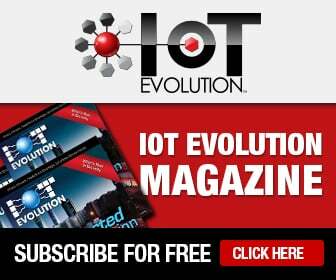 We wanted to start this year off right, so here’s to the winners of IoT Evolution’s Connected Transport, and Connected Home & Building, contests. This smartphone app allows for real-time monitoring of overall vehicle health. It notifies the dealership and the customer when something related to a vehicle needs attention, creating an opportunity to instantly schedule a service appointment. The Control Center automated connectivity management platform helps ensure IoT services run reliability, securely, and at the lowest cost. Ashwoods Lightfoot provided U.K. initiative Exeter City Futures with 100 of its devices for use in citizen vehicles for eight weeks. The devices, which leverage Gemalto’s Cinterion M2M wireless module, delivered real-time feedback on the dashboard plus audio alerts that prompted drivers to take action to ensure peak performance, efficiency, and driver safety. Fleet telematics solutions from GreenRoad include automated in-vehicle feedback that coaches fleet drivers; actionable fleet analytics through tracking, mapping, and reporting to optimize fleet operations; an integrated data dashboard about fleet drivers’ performance; and evidence-based data to reduce fraudulent claims. The oneMPOWER horizontal platform helps manage connected devices across diverse industries and communications networks. Its services span data, device, connectivity, security, and transaction management. And wot.io is an integration framework for data acquisition systems, data services, and applications that enables agile IoT systems to be deployed rapidly. The IoTium solution simplifies establishing and managing secure network infrastructure for industrial IoT applications. The STS Series is a family of high reliability, high performance gateways that includes a wide range of wired and wireless connectivity options. It brings together routing, a PoE switch, and a fog computing application engine in one device. The Litmus Automation Loop and LoopEdge allow for secure device connectivity, management and application integration for industrial manufacturing and connected car. This provides network control plane features that allow users to globally connect and manage their devices; data plane features that enable users to manage device data and analyze it in stream to generate insight and integrate it with enterprise applications; business services to meter, bill, report, and monetize connected assets; and cybersecurity, privacy, and provenance features to secure the connected infrastructure, and track and control data sharing to ensure privacy. This real-time software collects driving data and organizes in line with new advancements in GPS telematics. Cockpit is a Linux-based, GENIVI-aligned platform for in-vehicle infotainment, telematics, and digital clusters. It reduces development costs, minimizes project risks, and shortens project timelines. These modules deliver highly efficient Cat 1 LTE connectivity for M2M IoT solutions offering seamless fallback to 2G and 3G networks. This cloud-based building management platform integrates and aggregates building and metering systems data for simple, collaborative analysis. This solution, which works with any TV set, requires HUE lights, the Philips bridge, and the new Livebox to work. Livebox analyzes TV content in real time and instructs the lights to change colors to offer a more immersive experience. This is an embedded analytics sensing solution for building automation. It uses sensors to track human activity in a facility. This Semtech RF technology is based LoRa and connects things to the cloud. Meanwhile, Neo-Iso is a switching solution that enables low-power microcontrollers to control high voltage loads in the system. This is a lower power wide area network in North America leveraging LoRa modulation for IoT/M2M applications. This omnichannel, cloud-based customer support software reduces customer effort, maximizes the value customers get from products, and increases customer and agent satisfaction. The Fusion7 Booster is an amplifier that enhances cellular and Wi-Fi reception up to 20,000 square feet and provides over-the-air HDTV connectivity. The company’s energy assessments and audits, energy management as a service offerings, energy sourcing, and platform help maximize energy efficiency and security. This device, with built-in Wi-Fi, makes it easy to control temperatures and energy use from anywhere. It works in business and consumer environments.